Healthy Buildings 2015 Europe is a conference organized by ISIAQ.nl and the Eindhoven University of Technology, under the auspices of ISIAQ International. As we spend around 90% of our time indoors and exposure therefore is high a good (healthy) indoor environment is important. Though we have come a long way there is still ample room for improvement. Indoor air science from the start has been a multidisciplinary effort; designing buildings is an integral effort. Both indicate the need to learn from each other, to work with each other and to look at boundaries as opportunities but not to forget where we come from. 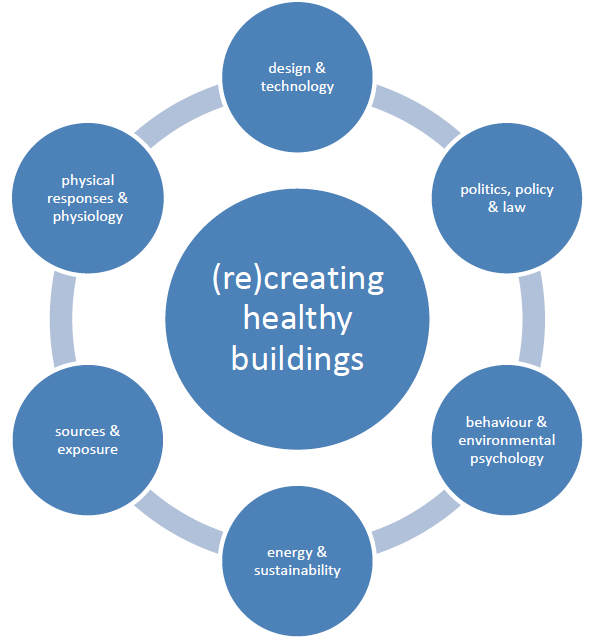 With Healthy Buildings 2015 Europe the aim is to provide a platform where we walk along these boundaries and open views and gain knowledge from adjacent scientific fields whereas at the same time we enjoy and acknowledge the new developments and research results within our own broad field. Of course we will not forget the application potential of all the good work being performed. We selected six adjacent fields that the conference is built around and which will find tangible outcomes in keynotes and workshops. The HB 2015 Europe core diagram will guide us through the conference.